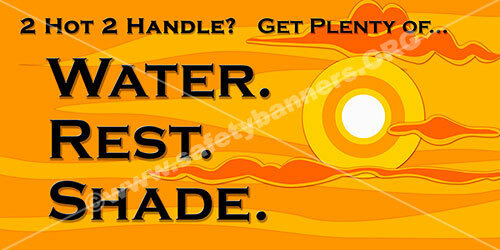 Heat Safety Slogans on safety banners and safety posters are used by almost every company that has workers in outdoor environments or high heat stress conditions. 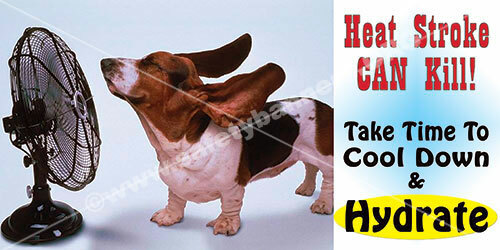 Heat stress can be a real safety hazard in the hot summer months. 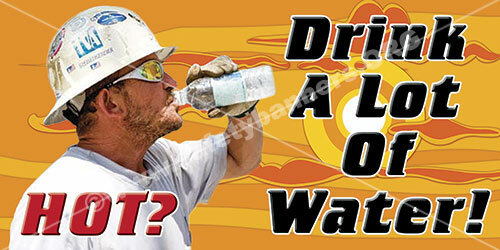 Heat safety slogans and can help workers remember to watch out for heat exhaustion and heat stroke. 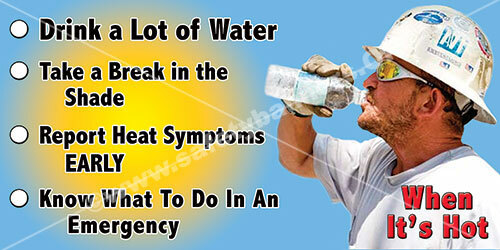 Exposure to heat can cause illness and death. 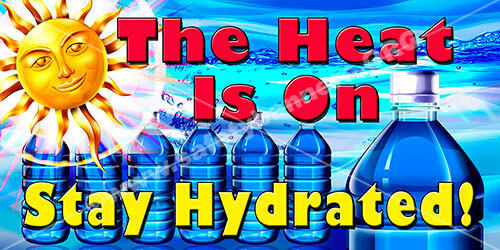 The most serious heat illness is heat stroke. 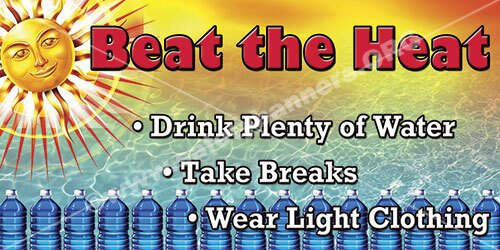 Other heat illnesses, such as heat exhaustion, heat cramps and heat rash, should also be avoided. 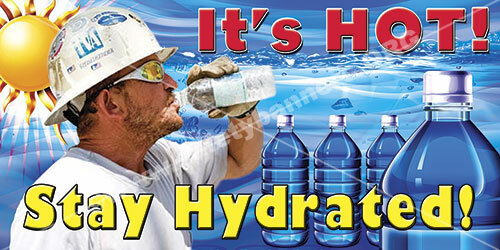 There are precautions everyone should take any time temperatures are high and the job involves physical work.